Avaaz - 1,300 kids killed by guns every year. Enough! 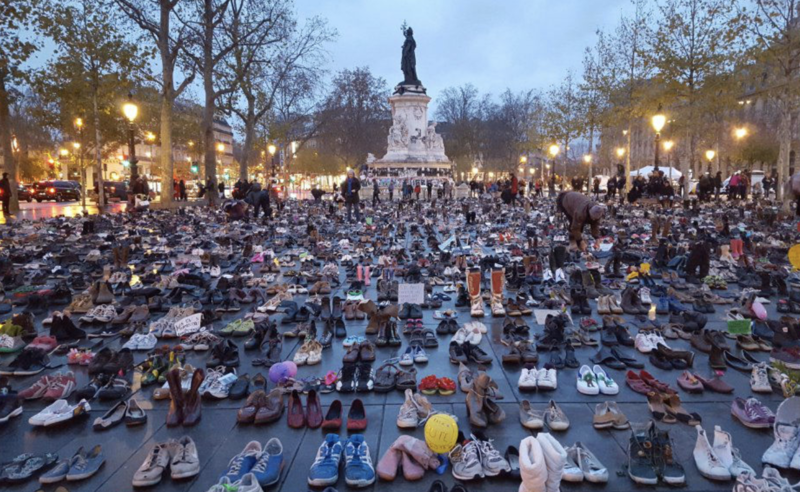 UPDATE: On March 13, before sunrise, Avaaz members fanned out across the US Capitol lawn to lay 7000 empty pairs of shoes on Congress' doorstep in honor of the 7000 children killed by guns since Sandy Hook. Family members who have lost loved ones to gun violence visited and laid down shoes. Throughout the day, people walked the rows of shoes, crying and calling for action to save our kids from guns. It was heartbreaking and incredibly powerful. The image of the monument went viral and was covered in CNN, The Washington Post, Reuters, USA Today along with hundreds of other outlets. And on March 14, Congresswoman Pelosi brought the image of the shoes into a hearing on gun violence for every one of our representatives to see. A heartfelt thanks to everybody who helped make this happen, and especially to the young people inspiring us all with their leadership and fierce determination for change. For the first time in decades, gun control has a real chance! But only if we keep the spotlight on lawmakers, continuing to show them the cost of their inaction. All shoes will be donated after the completion of the memorial. In the lead up to the March for Our Lives Avaaz members are bringing the heartbreak of gun violence to Congress’ doorstep. Building a monument on the Capitol lawn for the children we’ve lost to guns with 7000 pairs of shoes, representing every life taken since the Newtown shooting. Will you join survivors of gun violence by donating a worn pair of shoes (especially children’s shoes)?Let’s demand Congress honor those we’ve lost with action. We have no time to lose, we need all shoes by Sunday March 11! Guns kill over 1,300 American kids a year. When students across the US say they are fighting for their lives, they mean it. The response from politicians the day of the Parkland shooting was inexcusable. That’s why within 10 hours of the shooting Avaaz had Three Billboards driving around Senator Marco Rubio’s headquarters in Florida, demanding action. The media went viral – it was on CNN, The Washington Post, Colbert and more. Now we need to shine the spotlight on all our lawmakers. Now in the lead up to the student-led March for Our Lives, we're all coming together to create this monument for action -- right in the front yard of the Capitol. All drop-off locations will have a visible bin or box labeled Avaaz.